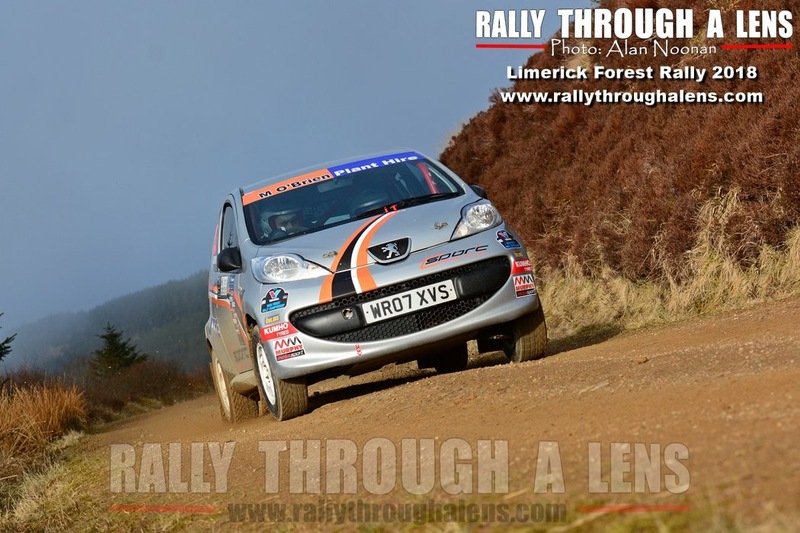 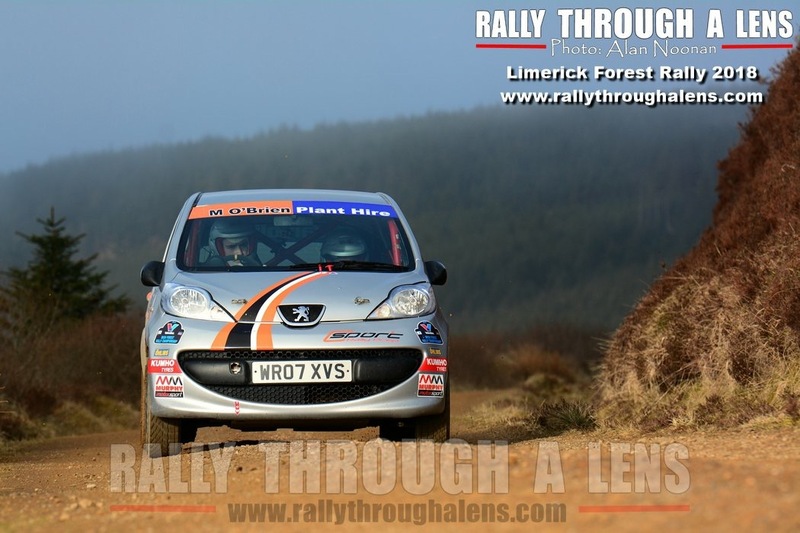 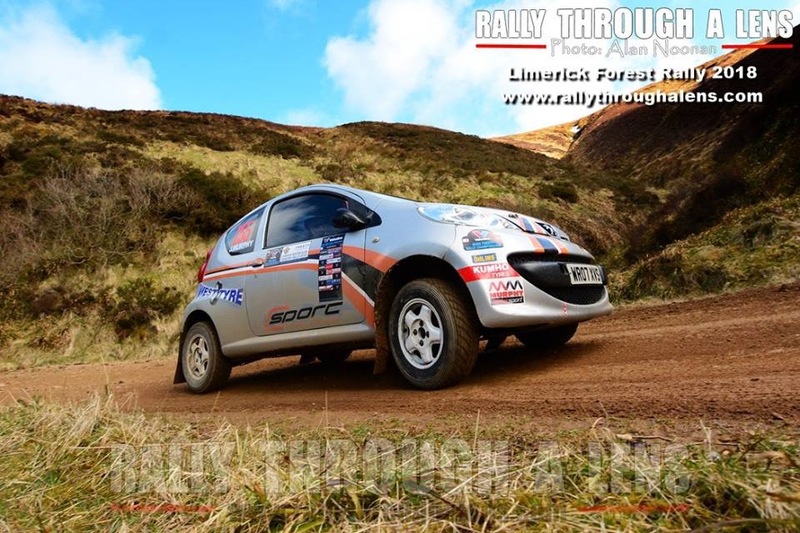 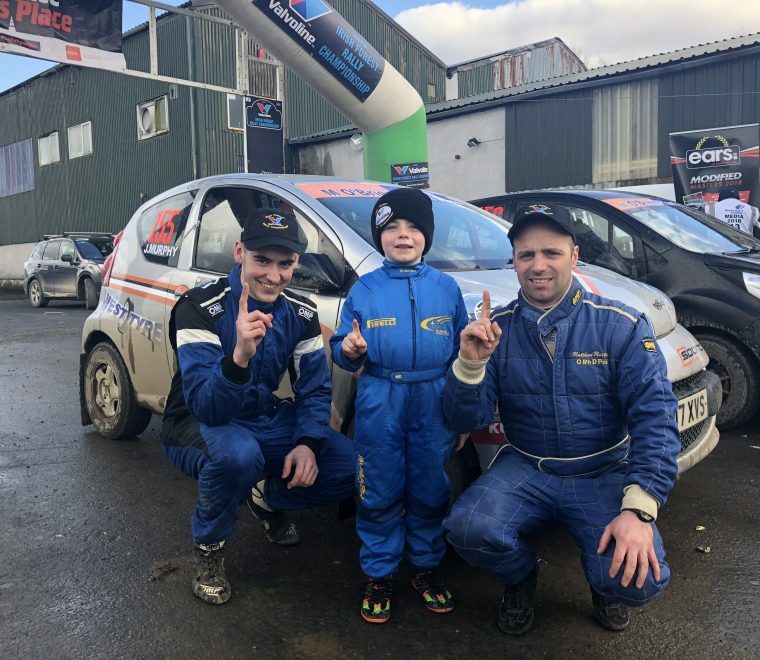 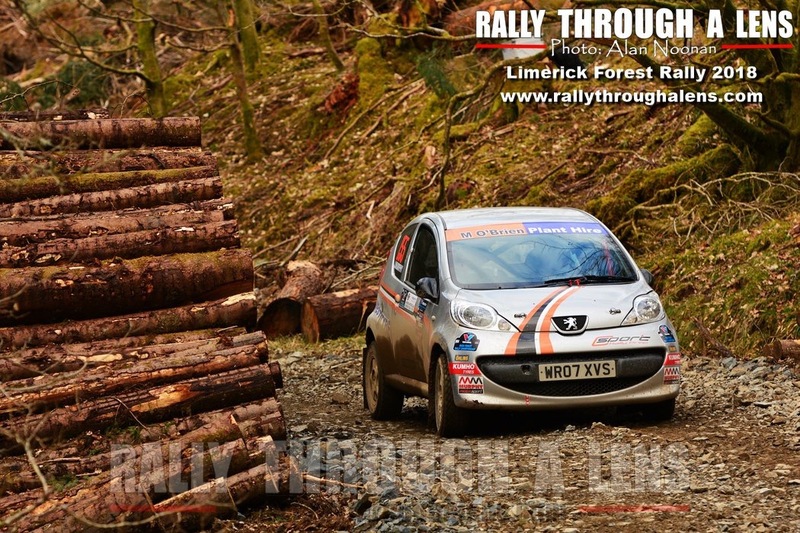 South Mayo crew Jason and Matthew Murphy in a Peugeot 107 took the J1000 victory on the second round of the 2018 Valvoline Motorsport Ireland National Forest Rally Championship, the Limerick Motorclub Forest Rally based over the Silvermines Mountains. 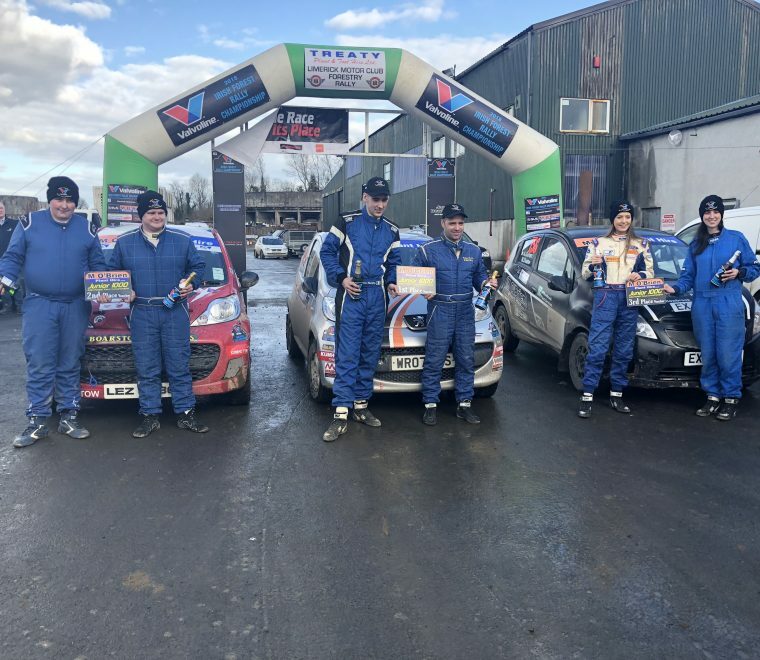 At the end of the tough eight stage event they had eighteen seconds to spare over the similar car of Peter Beaton and Conor Boylan with the Chevrolet Spark of Aoife Gahan and Mairead Duane completing the podium places just over a minute further back. 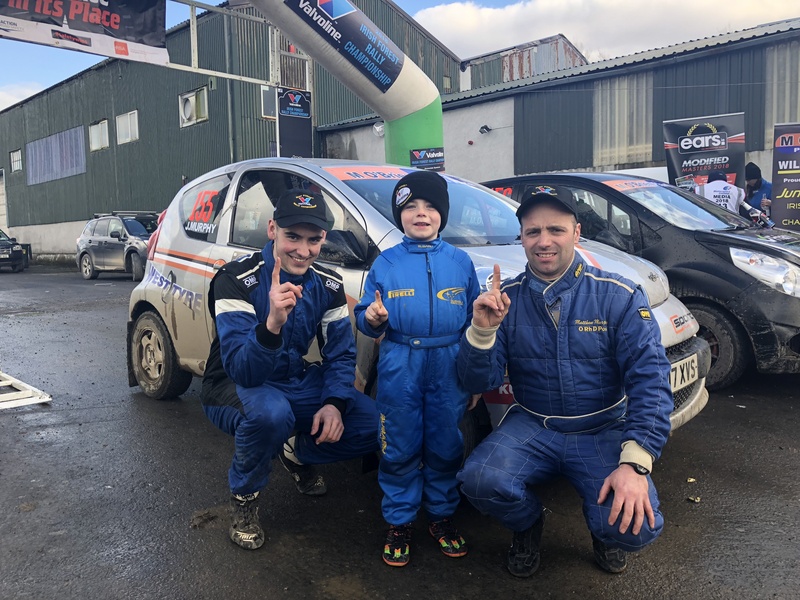 Jason and Matthew who won the 2017 J1000 Championship were in many people’s eyes event favourites after their win on Round 1 in Carrick on Suir back in February; however Scottish driver Peter Beaton pushed them all day waiting to capitalise on any slip up from the South Mayo Leaving Cert student. 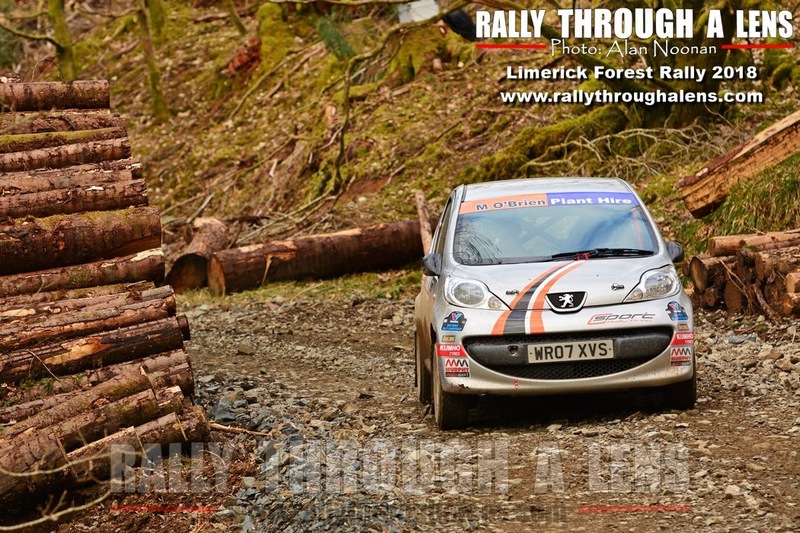 Setting the pace from the first stage Jason stopped the clock 14 seconds quicker than Rory Byrne and John Burke debuting a Modern Tyres backed Citroen C1, and after Byrne clipped a chicane on Stage 2 and dropped down the leader board Murphy arrived backed into the first service halt with 29 seconds advantage over Beaton who took over the job of reeling in the 2017 champion. 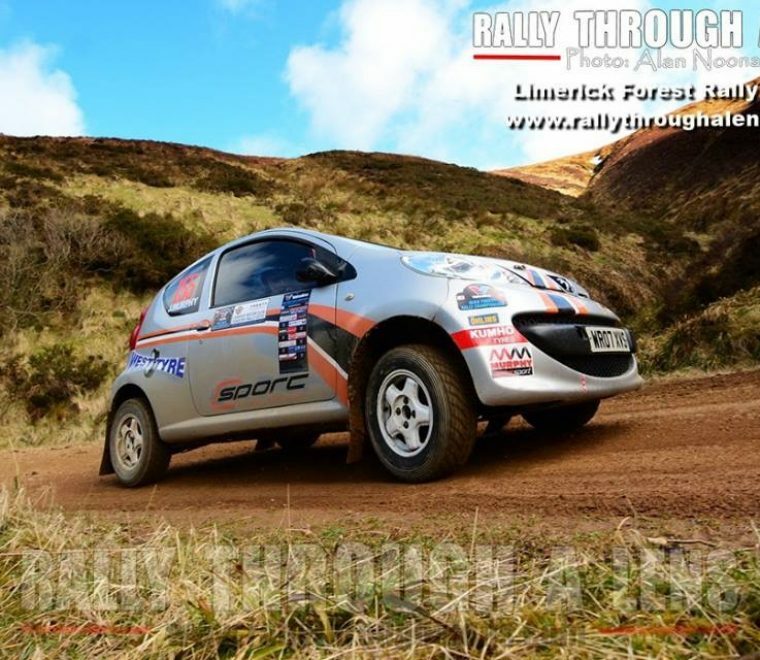 Despite Murphy setting fastest stage times again over the next 3 stages in his C-sport prepared, Westtyre backed 1 litre Peugeot, Beaton remained in touch knowing that any change in fortune could provide the chance to sneak the win that the young Scotsman desired, and a quickest time for Beaton on Stage 6 left just 45 seconds between them at the final service of the day, a margin that could quickly diminish with a spin on the slippery gravel forest tracks. 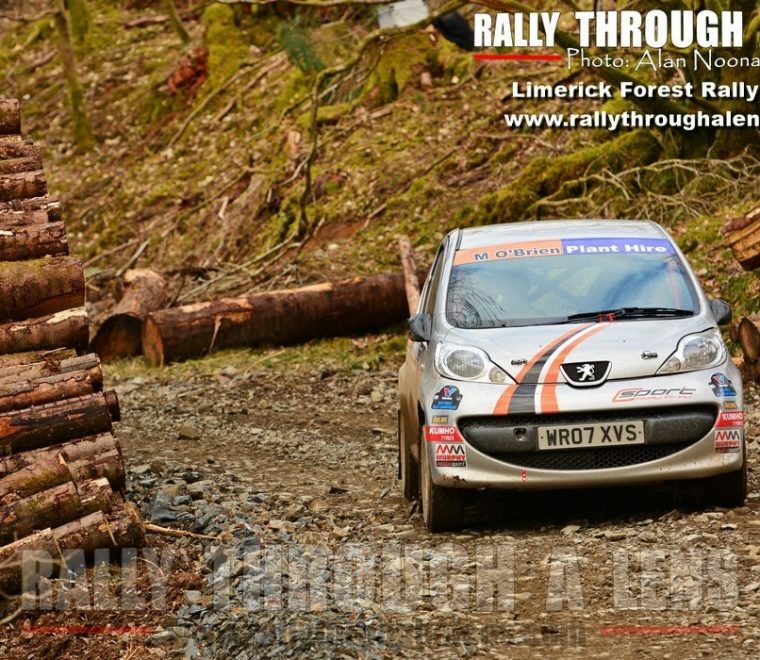 On the penultimate stage Murphy again stamped authority going fastest and heading into the final stage with a 47 second cushion, but the old saying ‘it ain’t over till it’s over ‘ almost reared its head, damaging a wishbone midway through the final stage the South Mayo crew nursed their stricken Peugeot over the remaining few kilometres knowing they were losing time to the flying Scotsman, arriving at the final control with emotions high they released despite dropping 30 seconds during the stage they had done enough to win by 18! 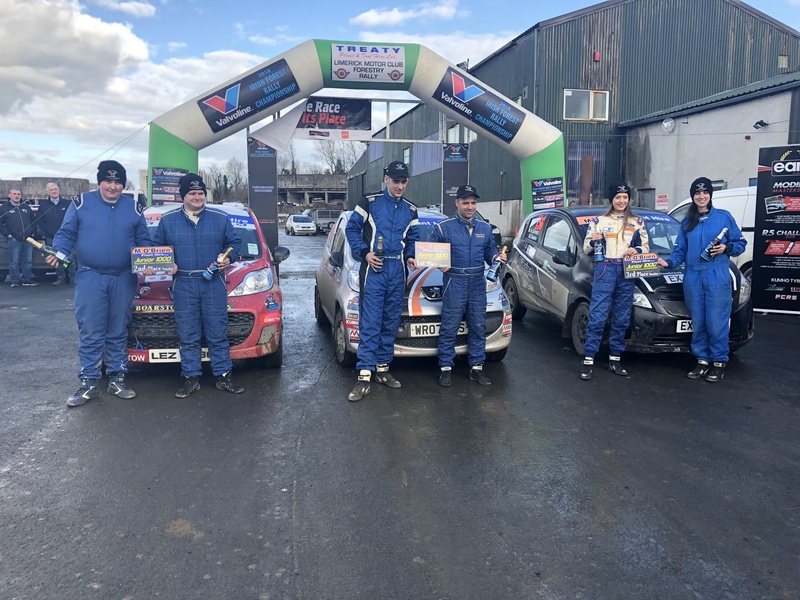 Celebrations at the finish ramp as they received their Kumho tyre prizes and event entry vouchers, capped of another fine event ran by the Irish Forestry Team and attention now turns to Round 3 the Munster Car Club Moonraker Forest Rally in just three weeks’ time. 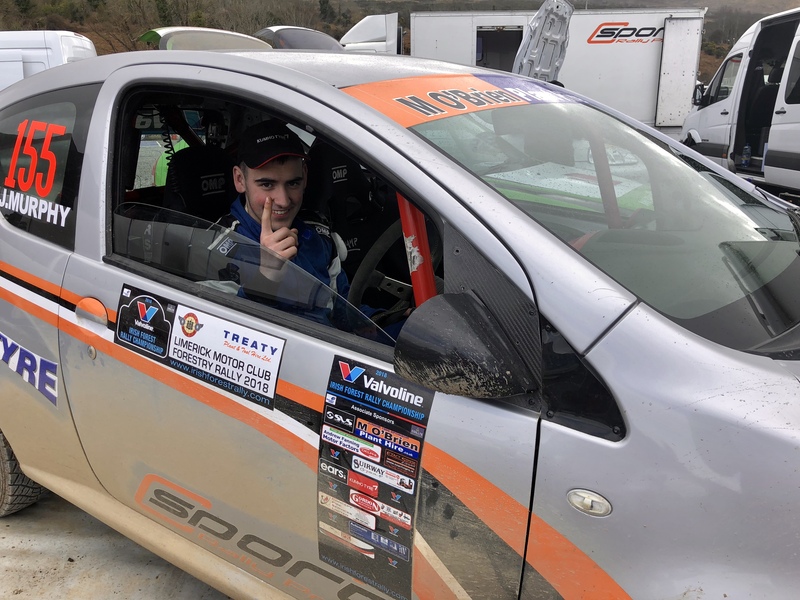 The 2018 Valvoline Motorsport Ireland National Forest Rally Championship, once again plays host to the Junior 1000 driver’s, aged just 15-19, as the future stars of the stages take to the Irish Forest Rally Championship, an ideal learning ground to perfect their rallying skills. 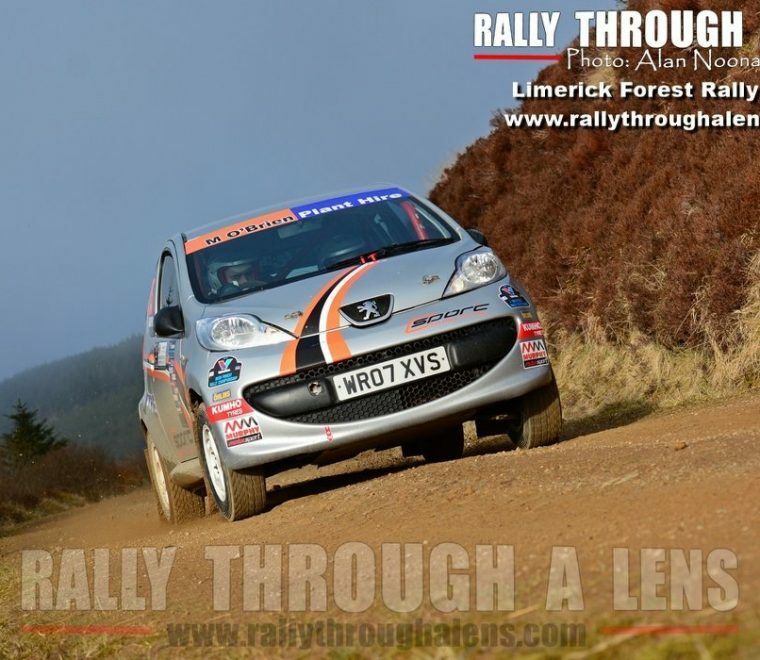 National Forest Championship Co-Ordinator Ray Fitzpatrick is very excited about the second season of the Junior 1000 which once again is sponsored by former National Forest Rally Champion – Mick O’Brien of M. O’Brien Plant Hire. 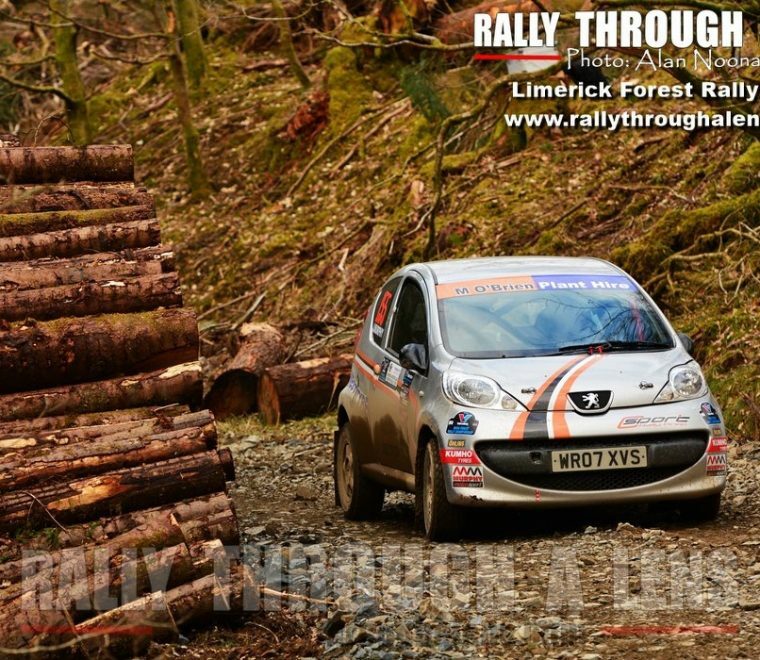 “Last year was a big one for us to get the whole series off the ground and now for 2018 the interest has risen considerably and it is shaping up to be a big year for Junior 1000. 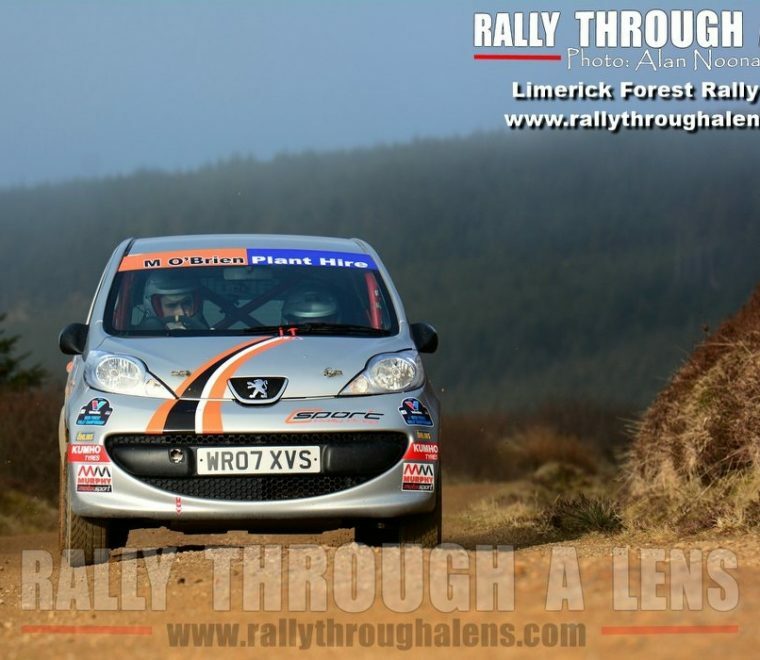 We have a great prize fund on offer with €1500 for the series winner, €1000 for second and €500 for third. 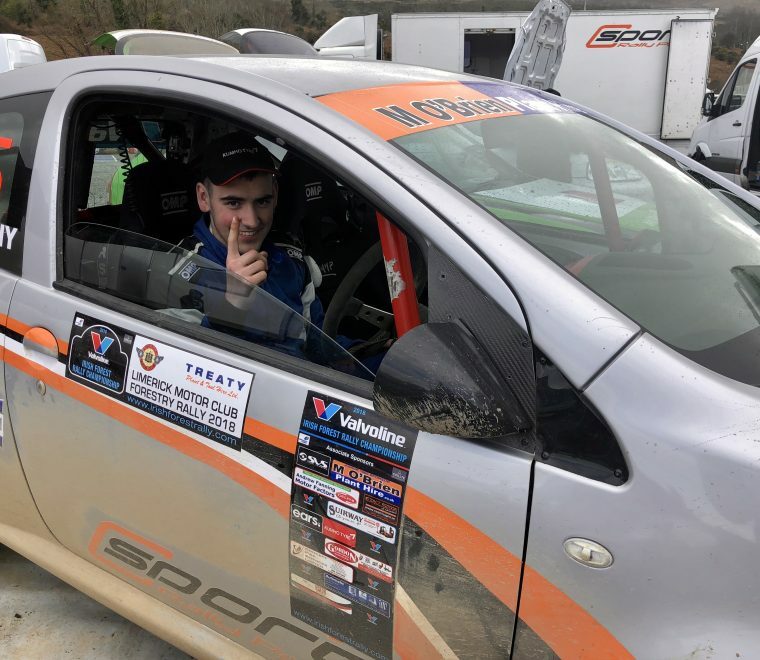 Added to this, entry vouchers per round of €200 for first, €150 for second and €100 for third are all designed to help these young driver’s progress in the sport.” Once again the 1000cc chargers will be on a control Kumho gravel tyre supplied by Ears Motorsport Ireland, and Ears will not only be supplying on-event service for the crews but also offering tyre prizes for each of the five rounds, making it an attractive proposition for any 15-19-year-old driver.